This cotton candy vodka recipe combines green cotton candy, cotton candy vodka, sugar, and Everclear to make a delicious homemade moonshine. 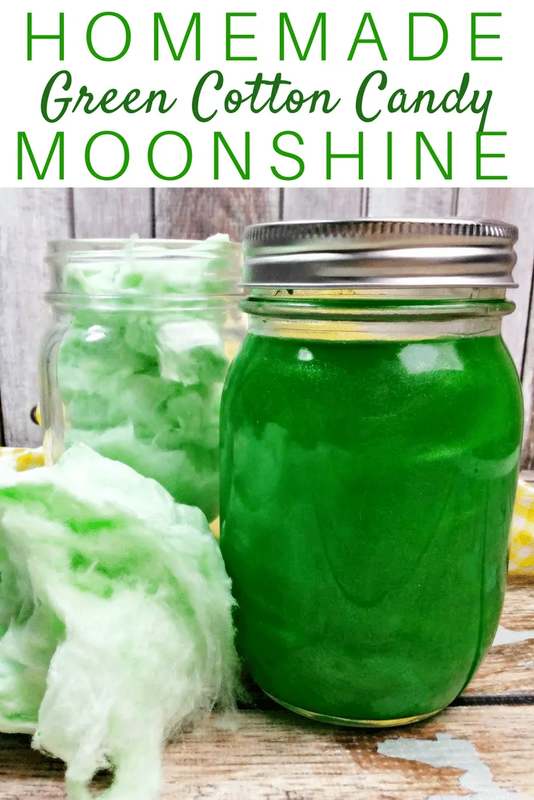 Plus, the bright green color of this cotton candy moonshine will certainly catch everyone’s attention! 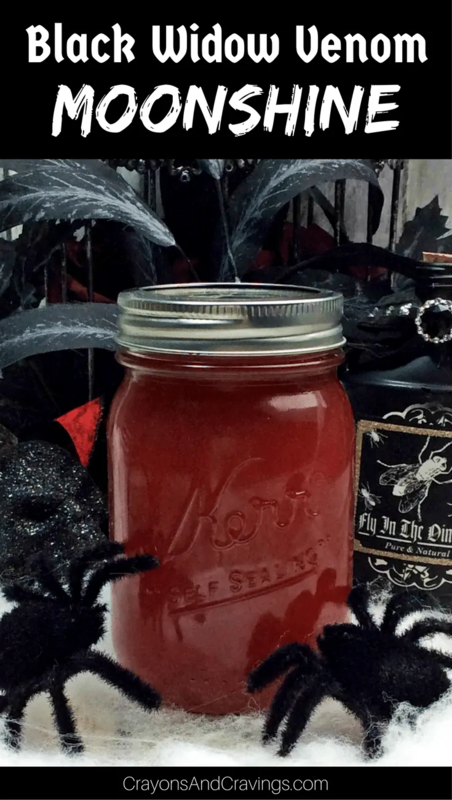 After our Black Widow Venom Moonshine Recipe was such a huge hit, you guys have been asking me to share more homemade moonshine recipes. Great news. The wait is over! 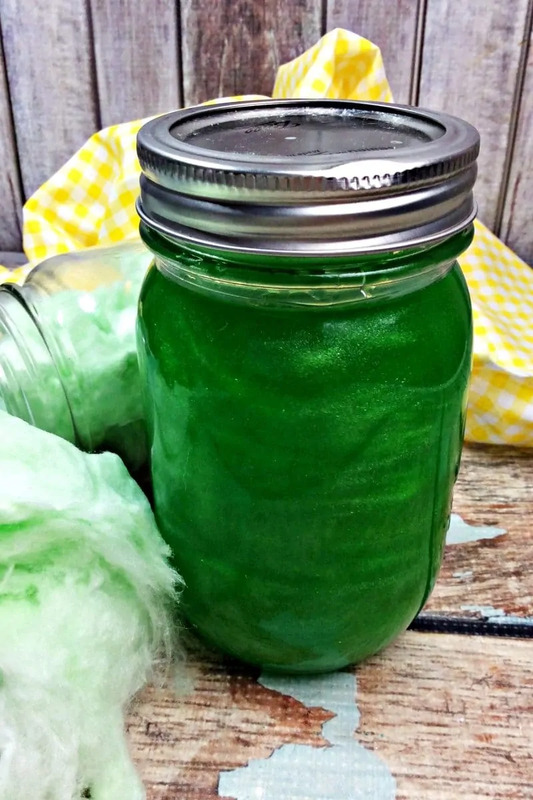 Today I have this delicious green cotton candy moonshine recipe to share with you. Who said cotton candy was just for kids? While the sugary-sweet candy may be a favorite of kids, it also makes a delicious homemade moonshine for grown-ups. This sweet spirit will have everyone feeling like kids again. Not only is this moonshine infused with real cotton candy, but it also has the addition of delicious cotton candy vodka. 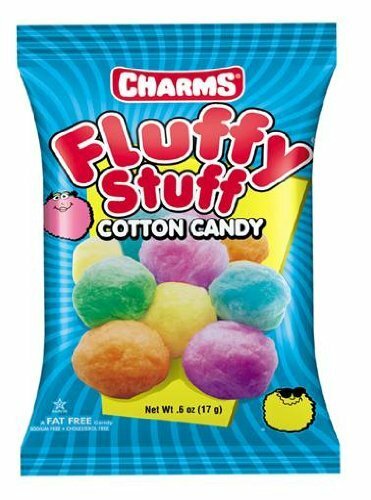 In other words, the cotton candy flavor is definitely going to shine through. Cotton candy is such an unexpected flavor when it comes to spirits, but oh-so-good! You don't have to trust me, just try it for yourself. What’s great about this cotton candy vodka drink is that it’s super easy to make. 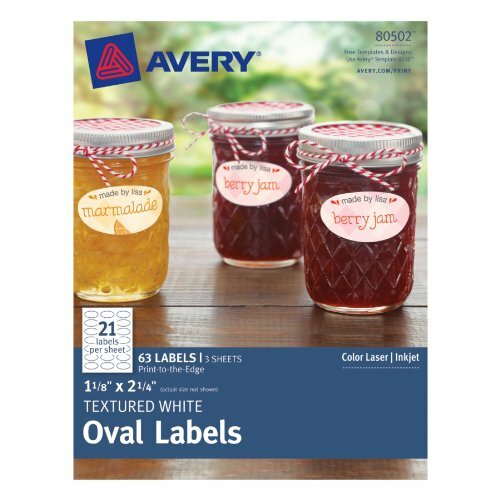 You simply add the ingredients to the mason jars and let them in your fridge for one week. Just before serving, you’ll add the edible pearl dust to give your green cotton candy moonshine a shiny look. This green moonshine is the perfect color for St. Patrick's Day, Christmas, or even Halloween. Of course, it is also perfect for any random day where you could use a sweet treat. Whatever the occasion, adults are going to love this homemade cotton candy moonshine. And everyone just loves the shine that the pearl dust creates. Now the recipe calls for letting this moonshine sit for 1 week. If you don't have that sort of time, no worries. It's basically a “the longer, the better” sort of thing to let the flavors mix. 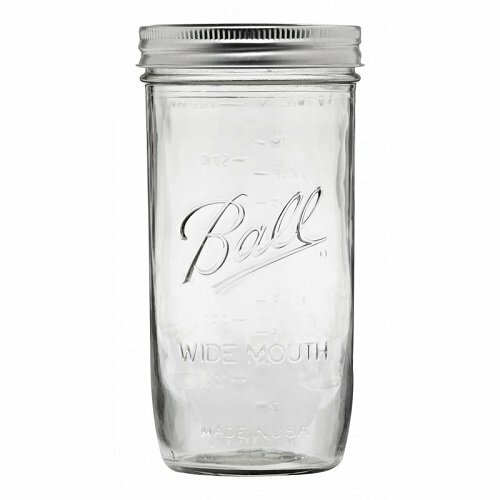 If you’re looking for something that would make a unique gift, you can’t beat this moonshine. It’s the perfect addition to a gift basket. Fill the gift basket with lots of sweet treats like cotton candy, maybe a couple of coasters or cocktail glasses, and this moonshine. It’s a gift that will allow your friends to relive their childhood and that’s certainly a priceless gift! If you like this moonshine recipe, I bet that you will love our sour cherry moonshine and raspberry gelato moonshine recipe as well! This moonshine recipe combines cotton candy, cotton candy vodka, sugar, and Everclear to make a delicious homemade moonshine. 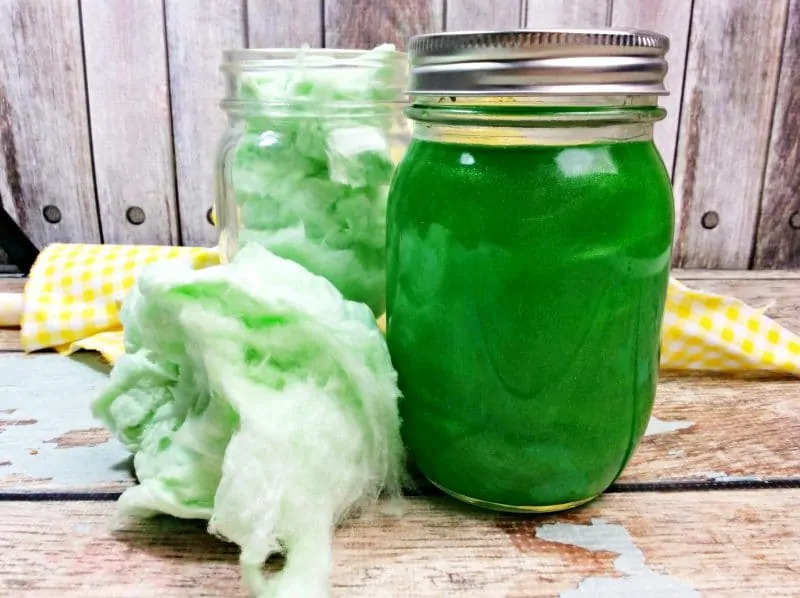 Plus, the bright green color of this cotton candy moonshine will certainly catch everyone’s attention! 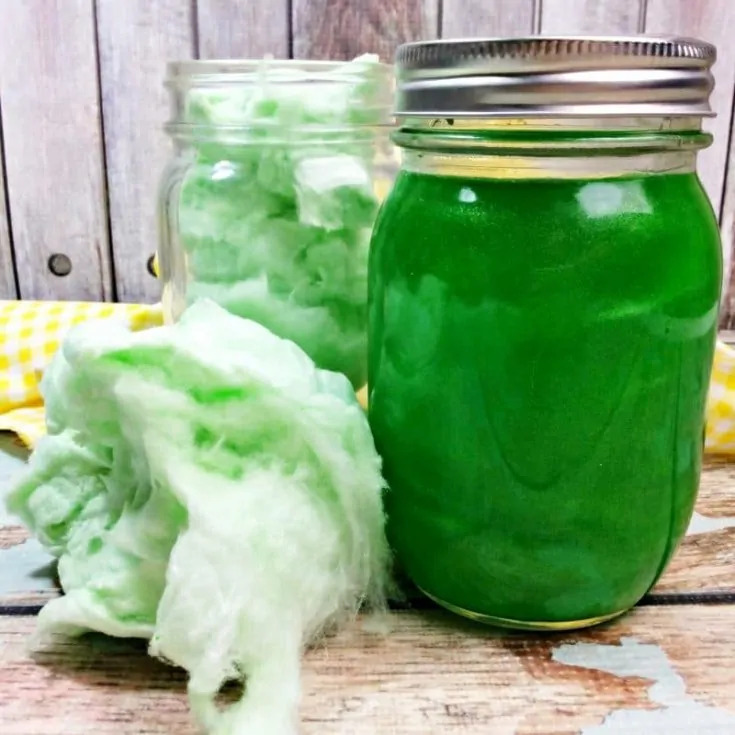 Fill a 24 oz mason jar with green cotton candy. In a pitcher, combine sugar, vodka, and Everclear. Stir to mix well. Pour mixture into a mason jar over the cotton candy. Allow to sit until cotton candy is dissolved. Once cotton candy dissolves, store jars in refrigerator for about 1 week, shaking jars every 2 days to help with the infusion process. When ready to serve, add edible pearl dust and shake well to combine. This recipe is awesome and I will be making it before the week is out! This is really interesting, and I’ve not heard of some of these ingredients before. It would be fun to try it! Cutest idea for a St. Patty’s Day party! Finally, something just for the adults. Didn’t even know there’s a cotton candy vodka! This sounds so unusual, color would definitely draw attention as you say. I have never heard of these variations but they sound amazing! It looks so fun! I have to show this to my hubby! He makes moonshine drinks and would love this. 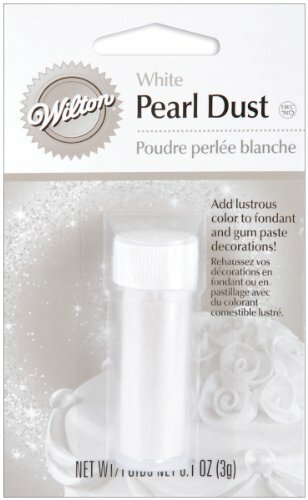 I’m so intrigued by the pearl dust! Soniya, I hope your kids are adults! !